The Quality Inn & Suites hotel in Sturgeon Bay, WI is near Sturgeon Bay Airport, making it easy for you to drop off your bags and start your trip as soon as you land. 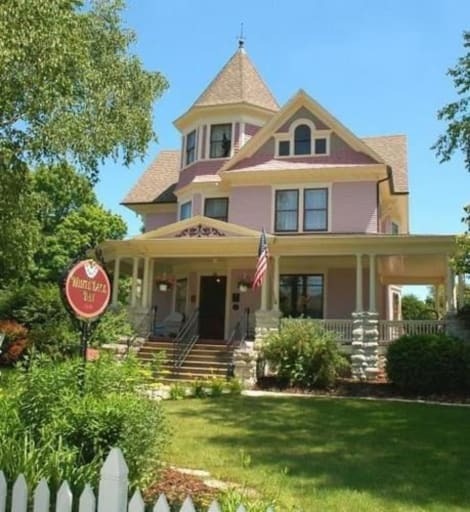 Located in the heart of Sturgeon Bay, this hotel is within 2 mi (3 km) of Door County Maritime Museum, Sturgeon Bay Bridge, and Door County Historical Museum. Third Avenue Playhouse and The Depot Performing Arts Center are also within 3 mi (5 km).All rooms provide refrigerators, microwaves, and coffee makers. Hair dryers and ironing boards are also available to guests. Enjoy recreation amenities such as an outdoor pool or take in the view from a terrace. Additional features at this resort include complimentary wireless Internet access, wedding services, and a fireplace in the lobby.